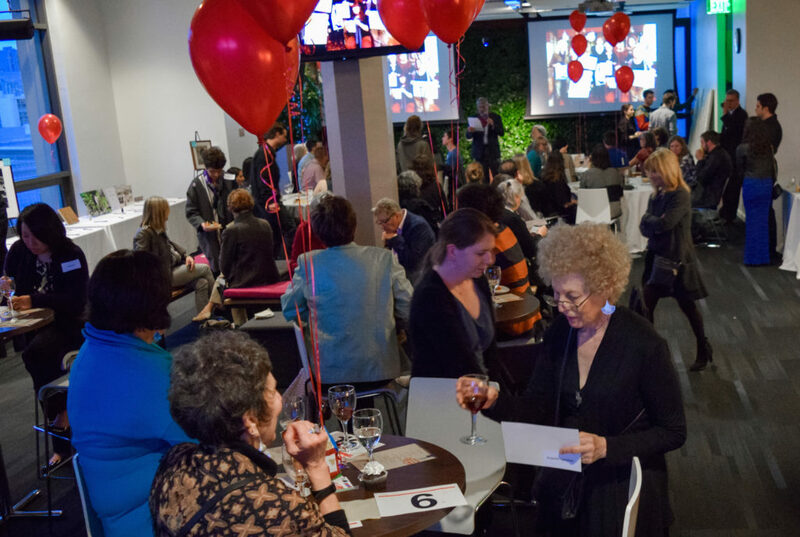 Our recent fundraising event, hosted by Twitter, was a great success, with donations, pledges and auction purchases totaling enough to underwrite two weekly art groups for an entire year. Twitter matched all the money that was raised, thus sponsoring another two groups! With seven new DrawBridge groups opened in the last 9 months, this is a great boost to the organization’s bottom line and supports its efforts to increase the number of homeless and low-income children served. And so we will continue to reach out and support as many children as we can. Thanks to everyone who participated: the auction item donors, those who bid on and bought items, those who pledged money, those who attended the event, and the volunteers that helped make it happen – we appreciate you so much! Thanks to our speakers, Jeff Kositsky and former DrawBridge participant Saman Minapra, and to Board President Steve Wasserman for his emcee and auctioneer talents. Many thanks to Twitter for hosting and matching all the money raised that evening.